Federal and state elections in coming weeks provide a timely moment for Australians to reflect on the increasingly obvious failure of governments to manage the triple crises of inflated property prices, lack of affordable housing for people on low to moderate incomes, and property market volatility. 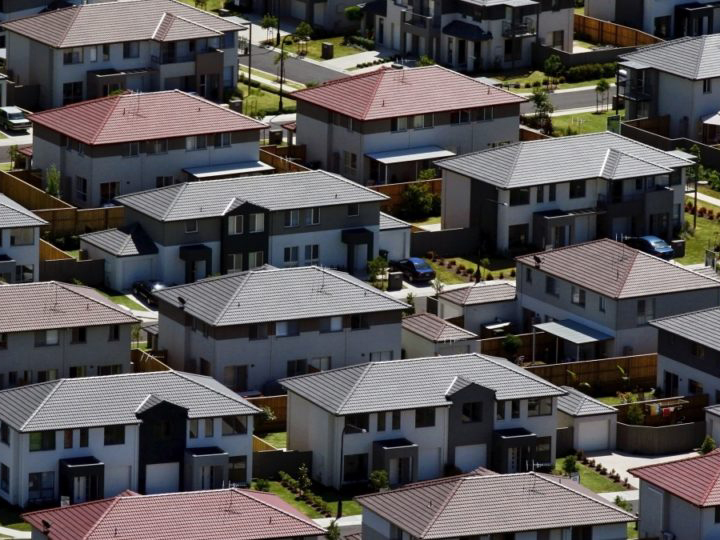 The likely prominence of housing in the federal poll at least, if not in New South Wales, perhaps signals welcome political recognition that decades of complacency and inaction are to blame for housing system under-performance. And it’s costing the country dearly. There’s a growing sense that core aspects of the governmental mindset that have underpinned housing policy since the 1980s are long overdue for a rethink. And not just in Australia. Our recent knowledge exchange project, involving academics, policymakers and professionals in Australia, Britain and Canada (the “ABC countries”), tapped into these debates. Our Shaping Futures report identifies important common housing features across the ABC countries. These include their overarching “liberal market” approach (for example, relatively light regulation of private rental housing) and the challenges of managing population-driven growth in cities. In all three countries, a similar set of foundational beliefs has dominated housing policy for decades. One is an increasingly misplaced faith that housing markets are well-functioning systems. Another is that issues of poor housing and high housing costs are seen purely in terms of redistributive welfare. The impacts on growth and productivity are largely ignored. Governments of the ABC countries have increasingly delegated responsibilities for coping with national and global pressures on housing. At the same time, they have provided little more autonomy and limited resources for cities and regions to respond to these pressures. All three nations have seen falling home ownership rates for young adults and long-term declines in home ownership affordability – among the most severe in the OECD. Household debt rates are close to the highest in the OECD. Inflated demand is increasing stress in private rental markets. It’s coming from growing numbers of frustrated middle-income aspirant homebuyers and from low-income tenants denied access to social housing by a proportionately smaller supply. In Sydney in 2017, moderate-earning and low-earning tenants paid, on average, more than A$6,000 a year in rent over and above 30 percent of their incomes. And that still didn’t spare them the growing costs and lost productivity of commutes commonly exceeding 90 minutes. Research in Sydney, Vancouver and London demonstrates that to quantify the real burdens of city housing shortages we need integrated analysis of housing and transport outcomes. Housing outcomes, including quality, price and location, have significant impacts on the “big goals” of governments. Regressive subsidies (such as tax concessions for property owners) have worsened rather than offset the effects of rising rents and house prices on income inequality and wealth distribution. In all three countries inequality indices have increased over the last two decades. And in the UK, at least, social mobility is lower than in other developed countries. Housing systems have been at the heart of these changes. We should aim to boost economic productivity by enhancing human capital – that is, maximising people’s opportunities and capabilities. Instead, there is an emerging sense that growth dividends have been sunk into raising housing and land prices, through investor speculation. This rentier-driven, rather than entrepreneur-led, economic growth has reduced the housing market’s resilience to cyclical instability. At least until very recently, longstanding systemic housing problems have generally failed to evoke major policy responses. When interventions have been considered necessary, these have tended to be restricted to homelessness and to helping marginal homebuyers. This has often been done in ways that have proved counterproductive by pumping up demand. With the possible exception of the UK devolved nations, government housing policymaking capacity has been largely emasculated across all three ABC countries over the past 10-20 years. Housing ministries and agencies have been abolished or “integrated” into human services departments. Likewise, Shaping Futures stakeholders were unimpressed with recycled policy proposals. One example is suggestions that income allowances for individuals should replace direct supports for housing supply. Another is that planning is the prime cause of supply-side “stickiness” that holds up the delivery of new housing. One response would be to join some of our academic colleagues in attributing such shortcomings to a misguided faith in managed markets. We might even echo calls to restore pre-1980s housing policy instruments such as big public housing, deep rent controls, tied subsidies and the like. However, the reality is that markets are likely to remain a preferred basis for our housing systems. The above diagnoses and prescriptions also overlook the possibility that some post-1980s innovations have produced significant policy progress. The emergence – particularly in the UK – of regulated not-for-profit organisational models is an important case in point. Nevertheless, minor tinkering will resolve none of the major housing system problems that have become all too apparent in the ABC countries since the turn of the century, and especially since the GFC. The housing sector needs to make stronger economic cases for support, while treasury and finance ministries must improve their comprehension of housing markets. Advocates need to voice the productivity case for housing; policymakers need to take it seriously. As failed economic thinking for housing policies has generated unstable and expensive housing outcomes, the conventional wisdom finds easy scapegoats in the regulatory planning system. Yes, unduly tight regulation will hinder supply, but no more so than failure to invest adequately in infrastructure and, indeed, shortages of construction labour and materials. Again, the challenge for treasuries is to resist the simplistic “economics 101” analysis that fails to recognise the special qualities of housing and land markets. Far from further downgrading its influence, planning needs to be cast in a more central role to extract infrastructure-and-planning-induced gains. Critical here is the recognition that “inclusionary zoning” essentially taxes “scarcity rents”. And – unlike tax-funded housing expenditure – it creates no drag on growth and productivity. Governments in Australia and Canada need to fully recognise the potential of non-profits to deliver not just low-income housing but mixes of renting, owning and shared ownership. This creates opportunities for younger households as well as better neighbourhoods. Governments must reshape young adult routes into home ownership. At the same time, they must avoid over-reliance on crudely designed central bank policies on deposit limits and lending ratios uniformly applied across diverse local housing markets. Reforms to ensure better housing outcomes in the ABC countries are possible. Significant modernisation of private rental regulation in Scotland, Victoria and British Columbia provides recent cases in point. Most such steps will depend, however, on governments providing additional or redirected resources. Even more, they require housing systems to be administered at regional and local level with evidence-based understanding and commitment. Many of the housing problems that distress urban communities across the ABC countries stem from “a veil of ignorance”. There’s an official disregard for evidence and mistaken adherence to simplistic narratives that play down significant market failures. Households, communities and cities deserve better futures. Shaping them is feasible. A convincing pitch to do so could well prove critical in swinging young voters’ allegiance and, as a result, the results of Australia’s imminent elections.